I love scrapbooking. Well, I loved it when I had time to devote to it, back before I began homeschooling! I have boxes and boxes of paper scrapbooking supplies, all neatly stored away. I have a little man who would not be able to stay away if I had those tempting things sitting out - scissors, stickers, paper, and adhesive are irresistible to young children (at least, to mine). In recent years I've discovered digital scrapbooking. I much prefer paper, honestly, because I enjoy the fellowship of working with other scrapbookers, seeing their pictures, and sharing their memories. 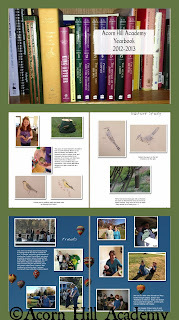 However, in the interest of time, I have made a few digital books for gifts using various sites. When the opportunity came to review Picaboo Yearbooks, I was excited to give their site a try! For the purpose of this review, I was given a 20-Page Softcover Yearbook. If you've never made a digital scrapbook or photo album before, let me assure you that it's very easy to do. The hardest part for me is always selecting the pictures. I usually have a hard time paring the number down to fit within the parameters of the album I'm trying to create. 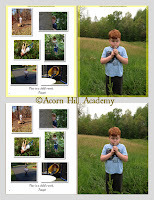 Once the pictures are chosen, though, it's simple to upload them and start putting them in a digital layout. Picaboo has ideas and videos on their site to help you get started. 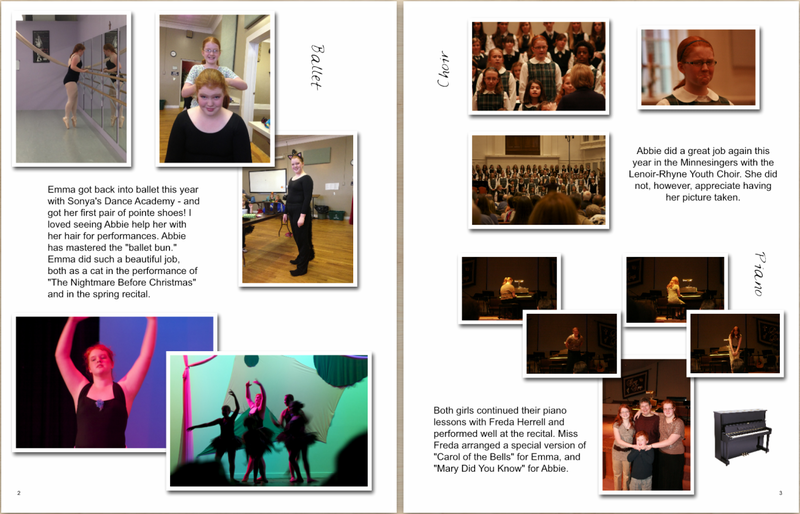 Making a yearbook is a little different than making a regular scrapbook. When you create your new album, you tell them the anticipated order date, how many you think you'll order (one is fine) and the expected order date. 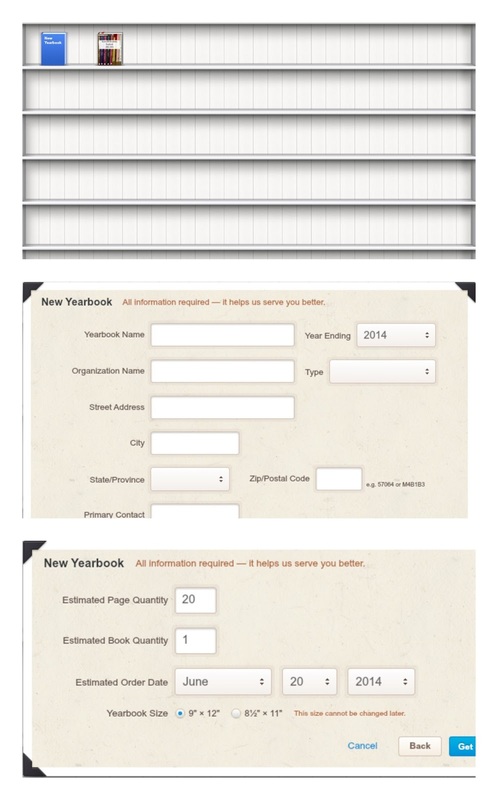 Once you've created your yearbook, you need to assign sections. When I did this, I created several sections, only to discover that you cannot change the pages allocated to them once they're created. If you need to change the number of pages for, say, your Sports section, you have to delete it and start over - and reassign the pictures to the new section. If I had been smart, I would have had only one section and just rearranged my pictures as I went along, or perhaps (ahem) planned ahead a little bit. Instead, I frustrated myself and deleted and re-added several sections until I figured out I didn't really need to do that. For my purposes, it made no difference if pictures from Sports ended up in the Science section; since I was the only one working on the book, I could put the pictures wherever I chose. Having individual sections would be important if a group were working together on a yearbook, and I would guess everyone would know how many pages they had to work with ahead of time. Once you've finished a section you need to "lock" it, which simply means clicking on the little padlock icon until it looks closed. It shows that all the sections are completed and no one wants to do anymore editing. All your sections must be "locked" before you can order your yearbook. One thing I liked a lot was being able to see my page boundaries. It made picture placement simple, and I didn't have any unpleasant surprises when I received my yearbook. 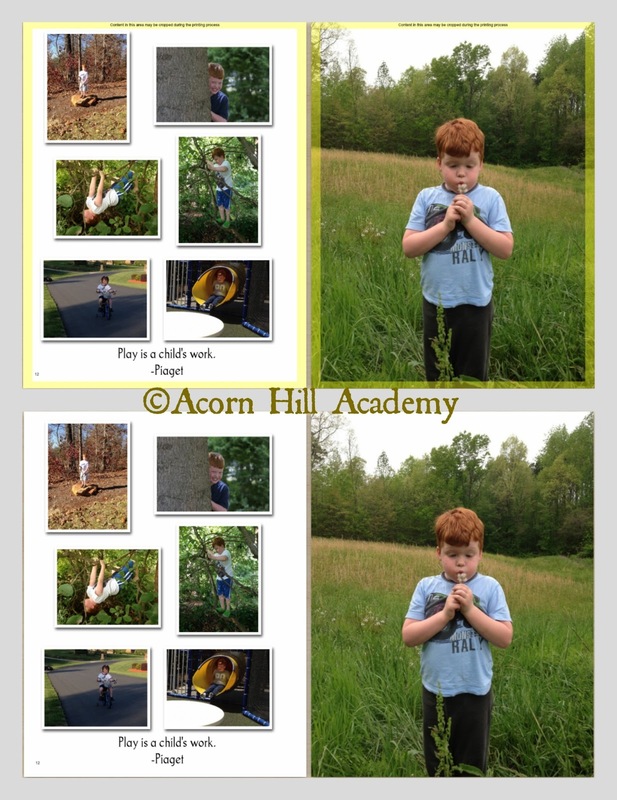 I also enjoyed the different options for laying out pages - you can have one picture fill an entire page, for example, or use a picture as a background for a two-page spread. I was thrilled with the way the balloon pages turned out! I had my daughter take a picture of the some of the books we used for the cover of our book (upper left picture, above). I like how it turned out. For the pages on the bottom left in the above collage, I used one of the pre-made layouts Picaboo offers. I had a lot of pictures, and wasn't sure how the pre-set layout would work, but I loved it! You can still move things around or delete any extra boxes. 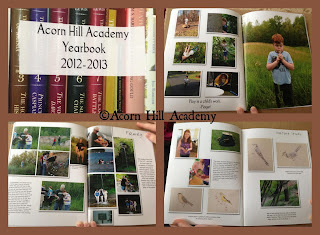 I enjoyed making this yearbook for my family! We have all enjoyed looking through it. I will definitely consider doing this again next year. We participate in a small, two-family co-op, and my friend Sara and I had discussed making a yearbook like this to document our co-op experiences. I am going to suggest to her that we let our older four children work on it next year. What a great project for them! They will learn design, photo editing, and writing skills - a bit like journalism, I suppose, as they will have to come up with text to go with their pictures. Emma loves to take pictures, so I know if I set her the task of making sure we document the things we do together this year, we will have some great stuff to work with. I'm looking forward to it! The only thing I would do differently next time is order a hardcover book instead of a soft cover. 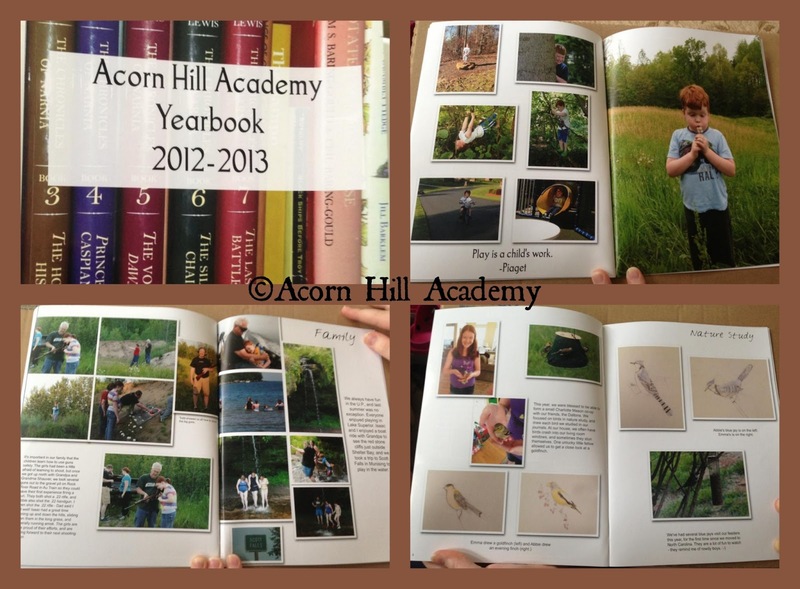 We love looking at our book, and the cover has already started to curl from heavy use. I think the hardcover will hold up a little better. 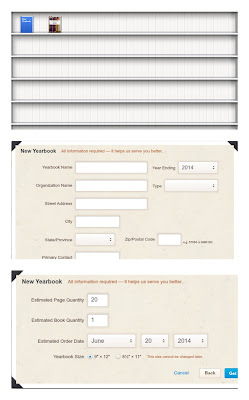 Picaboo's yearbook pricing starts at $8.49 for a 20-page softcover yearbook; $18.99 for a 20-page hardcover yearbook. 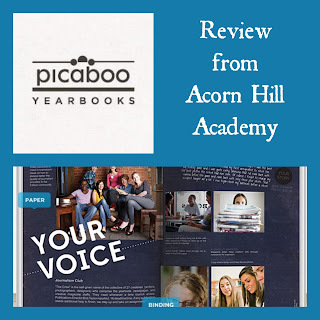 Shipping for one softcover yearbook is $8.99 at the time of this review. You can go to this page to check out their pricing calculator.